 Brinchi, L., Cotana, F., Fortunati, E. and Kenny, J.M. (2013) Production of Nanocrystalline Cellulose from Lignocellulosic Biomass: Technology and Applications. Carbohydrate Polymers, 94, 154-169. Abitbol, T., Rivkin, A. and Cao, Y.F. (2016) Yuval Nevo EldhoAbraham, Tal Ben-Shalom, Shaul Lapidot, Oded Shoseyov. Nanocellulose, a Tiny Fiber with Huge Applications. Current Opinion in Biotechnology, 39, 76-88. 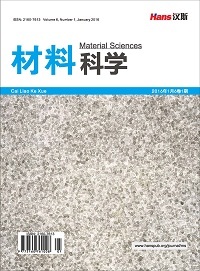 Qiao, C.D., Chen, G.X., Zhang, J.L. and Yao, J.S. (2016) Structure and Rheological Properties of Cellulose Nanocrystals Suspension. Food Hydrocolloids, 55, 19-25. 曹俊霞, 刘春丽, 廖莉玲. Keggin型磷钨酸盐的制备、表征及其光催化性能[J]. 吉林大学学报(理学版), 2013, 51(5): 944-948. Li, X.T., Jiang, Y.J., Wang, L.L., Meng, L.Q., Wang, W. and Mu, X.D. 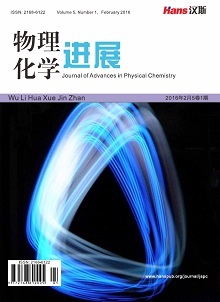 (2012) Effective Low-Temperature Hydrolysis of Cellulose Catalyzed by Concentrated H3PW12O40 under Microwave Irradiation. RSC Advance, 2, 6921-6925. Li, W., Yue, J.Q. and Liu, S.X. (2012) Preparation of Nanocrystalline Cellulose via Ultrasound and Its Reinforcement Capability for Poly (Vinyl Alcohol) Composites. Ultrasonics Sonochemistry, 19, 479-485. Liu, Y.F., Wang, H.S., Yu, G., Yu, Q.X., Li, B. and Mu, X.D. 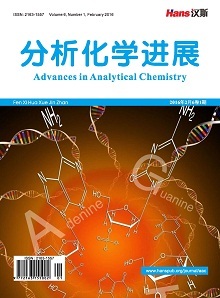 (2014) A Novel Approach for the Preparation of Nanocrystalline Cellulose by Using Phosphotungstic Acid. Carbohydrate Polymers, 110, 415-422. 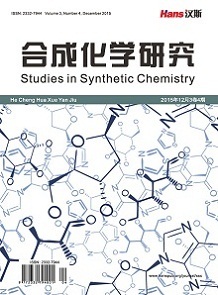 Hamid, S.B.A., Zain, S.K., Das, R. and Centi, G. (2016) Synergic Effect of Tungstophosphoric Acid and Sonication for Rapid Synthesis of Crystalline Nanocellulose. Carbohydrate Polymers, 138, 349-355. Chen, W.S., Li, Q., Wang, Y.C., Yi, X., Zeng, J., Yu, H.P., Liu, Y.X. and Li, J. 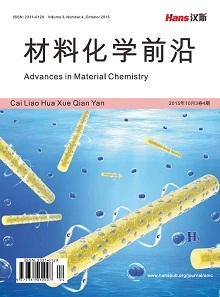 (2014) Comparative Study of Aerogels Obtained from Differently Prepared Nanocellulose Fibers. ChemSusChem, 7, 154-161.